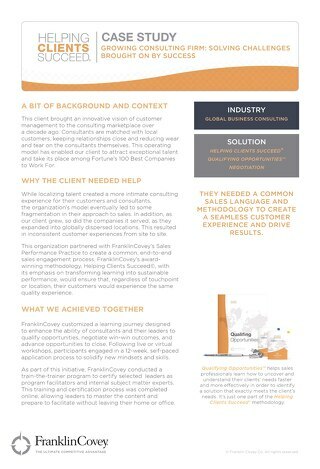 One of the world's largest professional services companies a forthcoming regulatory change that would impact their current client base in the EU. 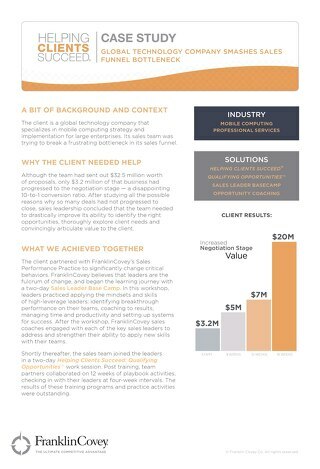 This client brought an innovative version of customer management to the consulting marketplace over a decade ago. 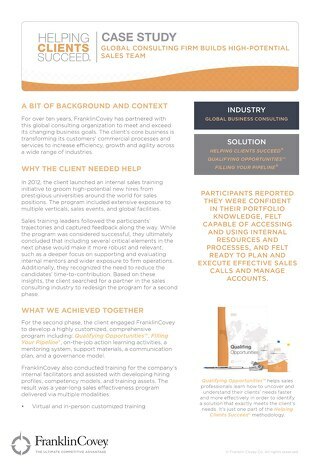 This mobile computing strategy company implemented Helping Clients Succeed to break a frustrating bottle neck. 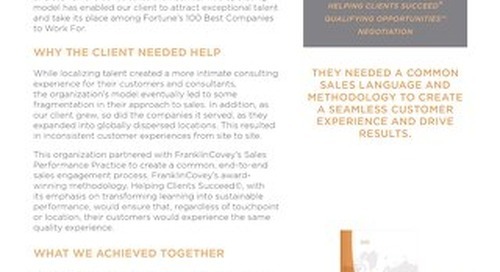 A global consulting firm sought to meet and exceed its changing business goals. 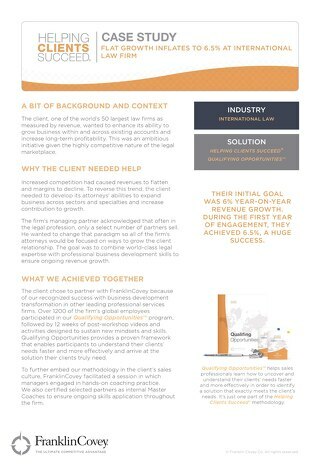 One of the world's largest law firms wanted to enhance it's ability to grow business within and across existing accounts and increase long-term profitability. 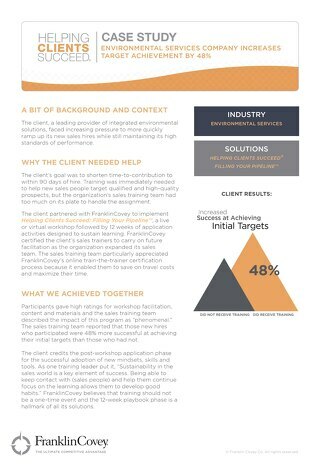 A provider of integrated environmental solutions faced increasing pressures to ramp up new sales hires while maintaining its high performance levels. 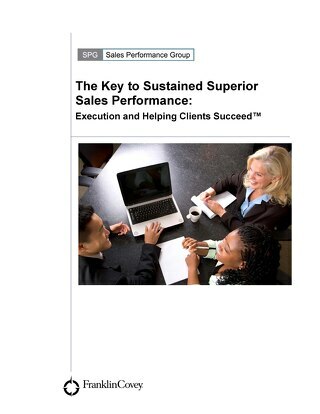 This guide walks through successful sales execution and how to improve your team's sales strategy.